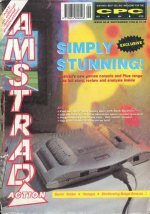 Amstrad stands for "Alan M. Sugar Trading". 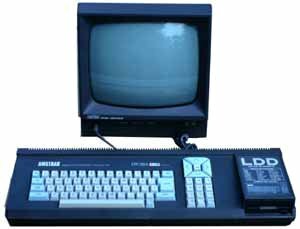 Amstrad was founded in 1968 by the present Chairman Alan Sugar, first trading in electrical goods. 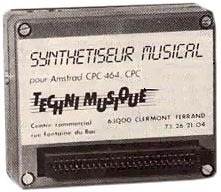 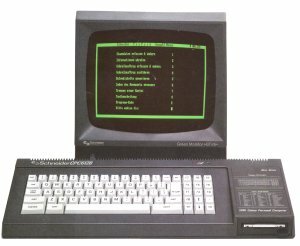 The nickname of the Amstrad CPC was Arnold. 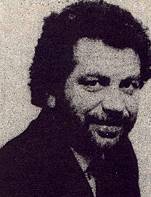 Arnold is an anagram of "Roland". 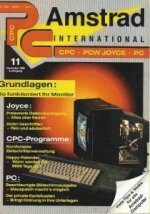 The main designer of the CPC was Roland Perry ... and as he presented his ideas for a homecomputer to Alan M. Sugar, the workname of his drafts was "Arnold". 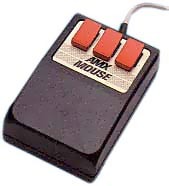 Move the mouse over the images to get a short explanation. 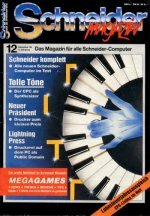 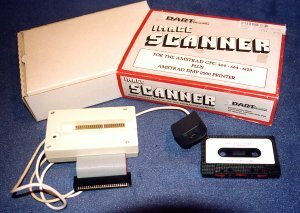 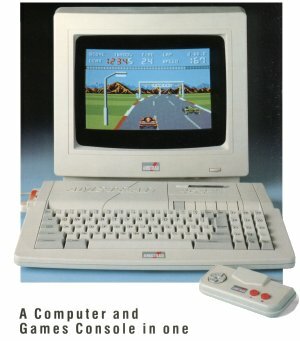 In 1986 Amstrad took over Sinclair's computer business. 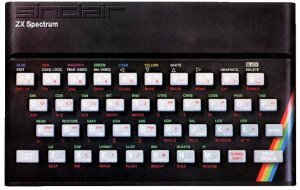 Changes in the direction of Sinclair's most popular computer, the ZX Spectrum (released 1982 as sucessor of the popular ZX 81), were in the air. 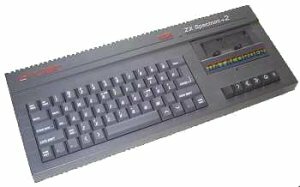 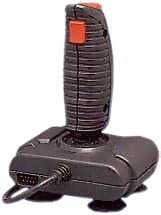 In early 1987, the change came with the launch of the Spectrum +2. 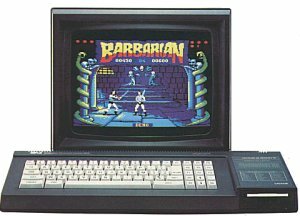 It was very different from any previous Spectrum, coming with a proper typewriter keyboard and built-in tape recorder and twin joystick ports. 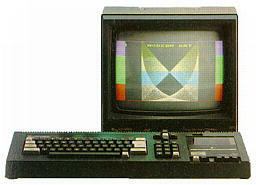 Externally at least, it was very similar to Amstrad's CPC 464. 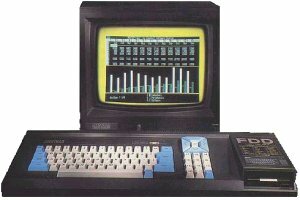 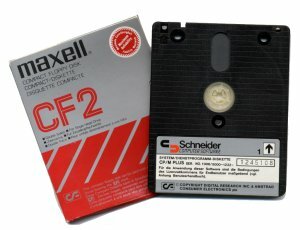 The KC compact is a clone of the Schneider/Amstrad CPC 464, manufactured in the German Democratic Republic by RFT / VEB Microelektronik Muehlhausen. 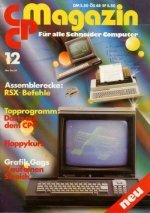 It was anounced to the 40. anniversary (7 Oct 1989) of the GDR, which lasted only a few weeks longer. 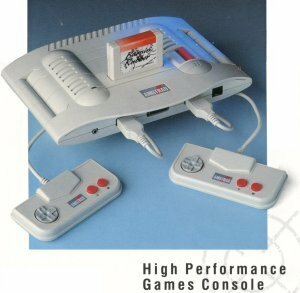 So the KC compact was not produced very long and now is a rare collector's item. 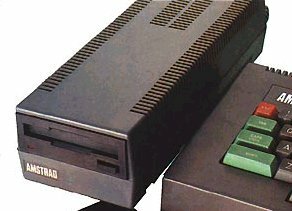 The CPU was a Z80-GDR-clone called UA880D. 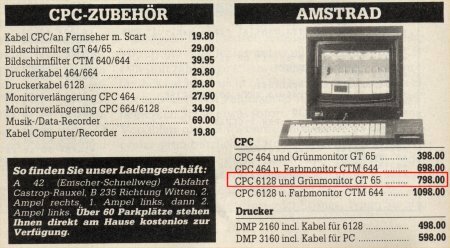 64 KB RAM are equal to the CPC 464/664, the ROM is equal to the CPC 6128. 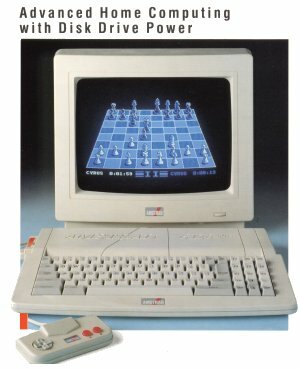 This KC computer is not compatible to the previous KC systems (i.e. 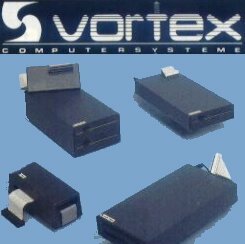 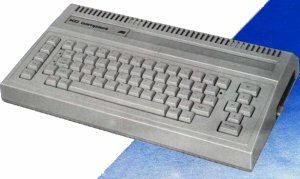 the popular KC85/2-4 series), but it mainly is compatibly to the Amstrad CPC.